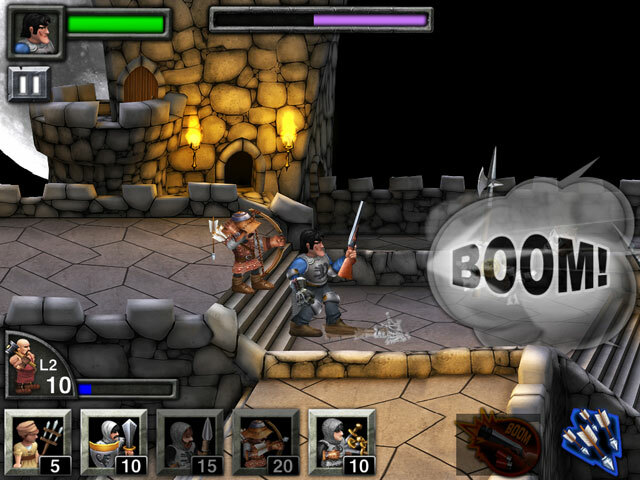 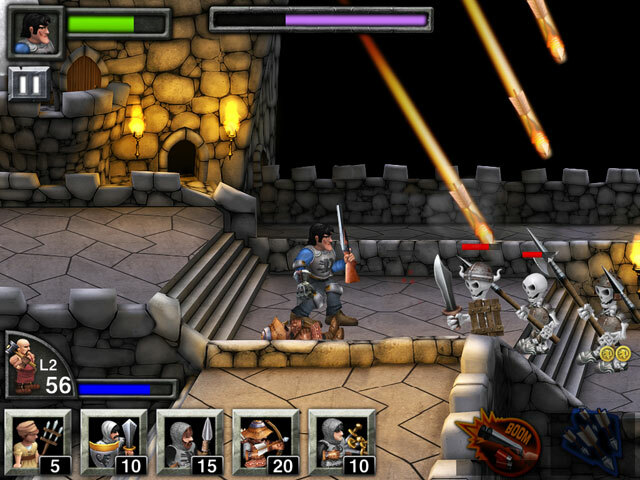 The “Army of Darkness: Defense” game picks up from the pivotal castle defense scene within the movie where Ash, and his allies defend the powerful Necronomicon (book) within Lord Arthur’s fortress from the onslaught of Deadites (living dead). 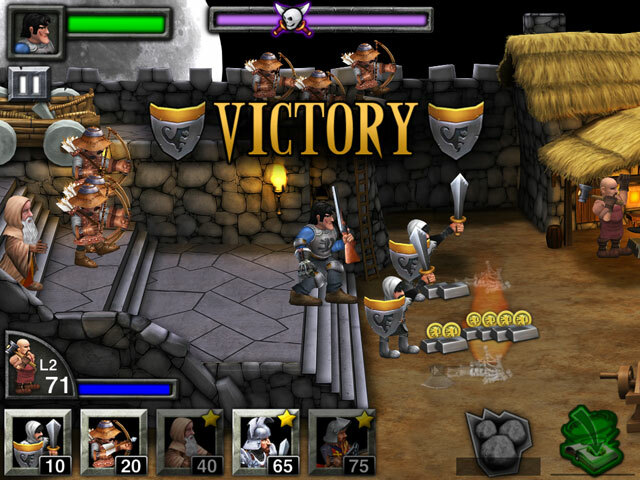 The user plays the central role of Ash while summoning familiar troops, spells and weapons from the movie to help in the defense throughout the game. 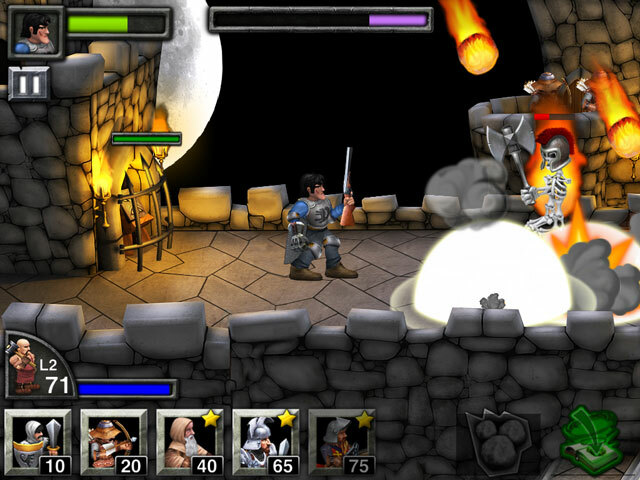 Gameplay features include Bruce Campbell as Ash Williams, and beautifully animated graphics using the “Granny 3D” engine. 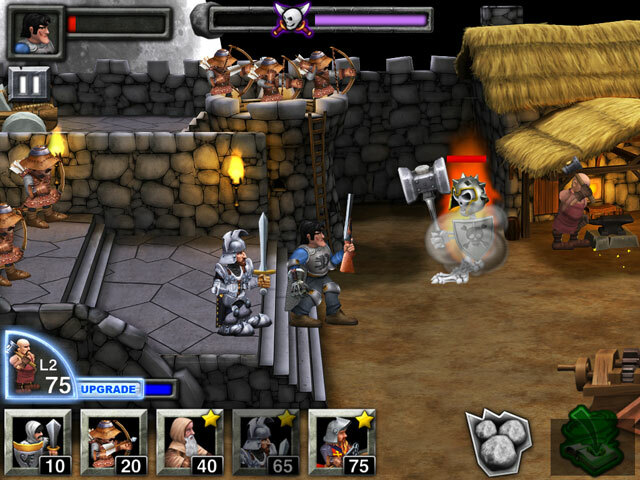 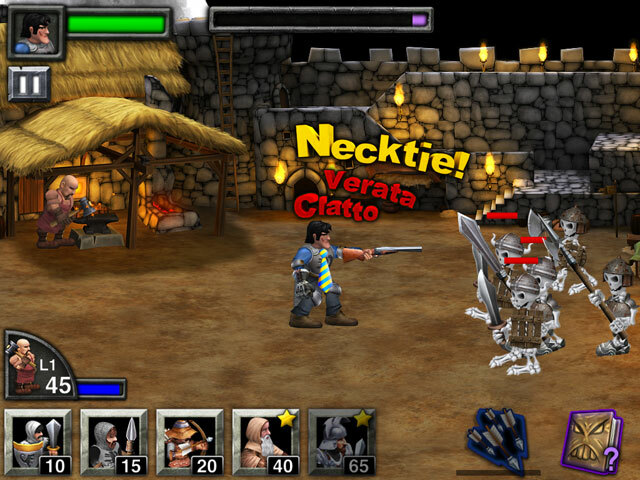 The game offers a wide variety of allies to call upon including swordsman, armored knights, archers and more. 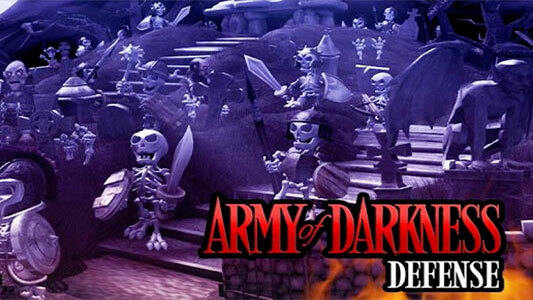 In addition to the originally composed sound and music for the game, it also features many of the famous characters from the movie including Arthur, Henry, Sheila, the Wiseman, Evil Ash, and more.